November 2017 Newsletter - Quad City Area Flying Eagles, Inc. The club is still searching for a Treasurer. If anyone of you has been considering doing the Treasurer’s job, please call Jim Wiegand with questions that you might have about the doing the job. Ron Anderson is researching how some of the treasurer’s task can be automated. One example is that flight hours would be entered into Schedulemaster which would eliminate the time the treasurer has to spend collecting the log sheets each month. The details involved in doing the treasurer’s job are replicated below from last month’s newsletter. The newest member is Dave Pearson; he joined in October. Dave was referred to the Quad City Flying Eagles by Ralph Stevenson. 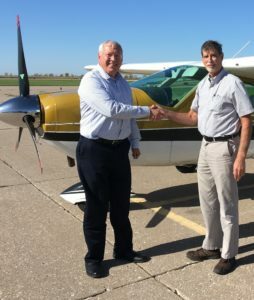 He has a private pilot license which he got during his time as a student at the University of Illinois where he earned a Mechanical Engineering degree. His flight training was at the Institute of Aviation at the U of IL. For all practical purposes Dave has not flown since getting his license while in school. He flew several times in 1969 when he first moved to the Quad Cities but, to use his expression, life got in the way of flying. After retiring a couple of years ago from 45 years as a consulting engineer in HVAC business, with 23 years of it running his own HVAC consulting business, he decided to return to flying. 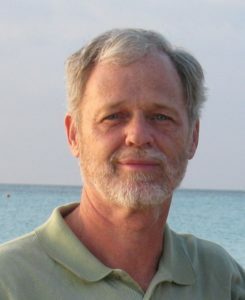 Chip Knuckey is his instructor. We are glad to have him as a club member. Dave is active in his community through service in Moline Rotary Club. Brad Ward received his instrument rating in October under the instruction of Chip Knuckey. He has been flying VFR for almost two years which has been a handicap for him when he wanted to fly to a meeting with clientele. Brad manages the web site “COMNEWS.COM”, owned by Lee Enterprises, which requires some travel. He was motivated to get his IFR because he would have to drive to visit customers instead of flying when weather was in climate. Brad feels like he is a better pilot for having gotten his IFR. He has enjoyed the challenge presented in having to multi-task in situations such as a missed approach. He feels that he is mentally sharper for having been through the instrument training. The fact he feels like he is a better pilot is born out in the statistics. The rate of weather related accidents involving IFR pilots with more than 100 hours are statistically insignificant, meaning they are almost zero when compared to the accident rate of VFR pilots.